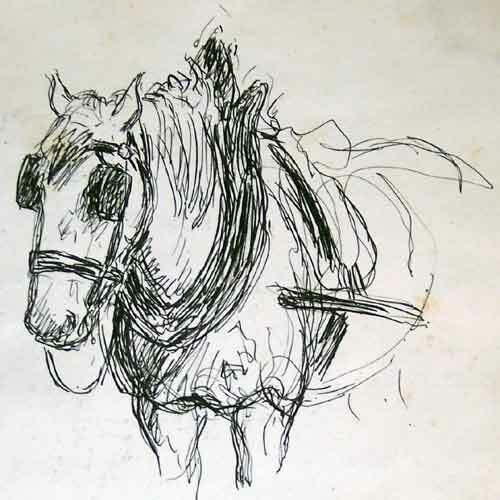 Here are some examples of works from Wesley's sketchbooks. The exact dates they were done str unknown. 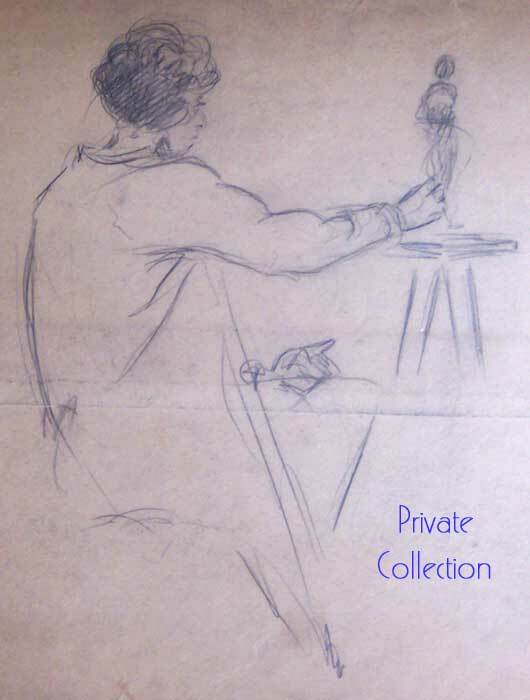 The Paris Sketchbook was done while he was in France studying under Lowes Dalbiac Luard. The other was probably also compiled fairly early in his career - I'm guessing the 1930s or the early 1940s. If anyone has any information on the sketchbooks or recognizes anyone or any of the scenes, please get in touch! 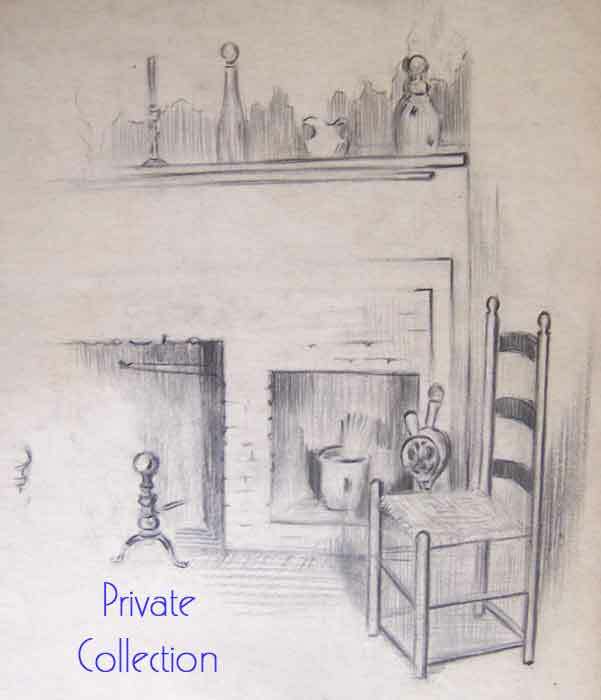 The sketchbooks are in a private collection. Click Here to See Sketches from the Paris book. Click Here to See Sketches of Places.